Caloocan will be celebrating the 51st anniversary of its cityhood this February 16. Caloocan City Day falls on a Saturday this year. The day is a special non-working holiday in the city according to Republic Act 7550, which was enacted in May 1992 during the term of then-President Corazon Aquino. Read the full text of RA 7550 here. Formerly a component municipality of Rizal province, Caloocan was converted into a city through Republic Act 3278 (access its full text here). 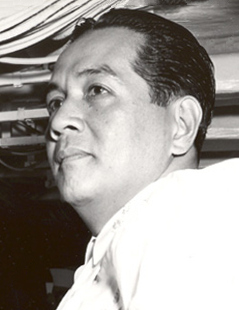 RA 3278 was signed into law by then-President Diosdado Macapagal in 1961. The residents of Caloocan approved the law in a plebiscite held February 16 of the following year. This entry was posted on Thursday, February 7th, 2013 at 12:01 am	and tagged with araw ng caloocan 2013, caloocan city foundation day 2013, caloocan day 2013, february 16 2013 caloocan city day, february 16 2013 holiday caloocan city, february 16 2013 philippine holiday, february 16 holiday caloocan city and posted in history, hodgepodge, philippines. You can follow any responses to this entry through the RSS 2.0 feed. I verified with my usual sources for my posts here and wala po talaga. pahamak talaga UMAGANG KAY GANDA….Naka flash na SPECIAL NON-WORKING HOLIDAY…..